Image caption McGrory was released on continuing bail until 25 September. A Londonderry man has pleaded guilty to running a brothel. Paul McGrory, 54, from the Ardmore area of the city admitted he kept, managed or assisted in the management of a brothel between February 2016 and November 2016. He also pleaded guilty to acquiring criminal property of cash to the value of £17,375. McGrory denied a charge of converting criminal property of £7,668 to credit card accounts. A defence barrister told district judge Philip Babington, sitting at Londonderry Magistrates Court, that he had not expected McGrory to admit the two charges. The barrister said he would discuss the feasibility of having a trial for the charge the defendant denies with the Public Prosecution Service. 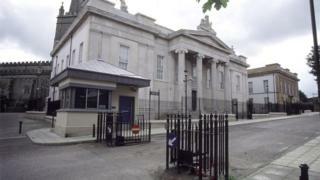 McGrory was released on continuing bail until 25 September.